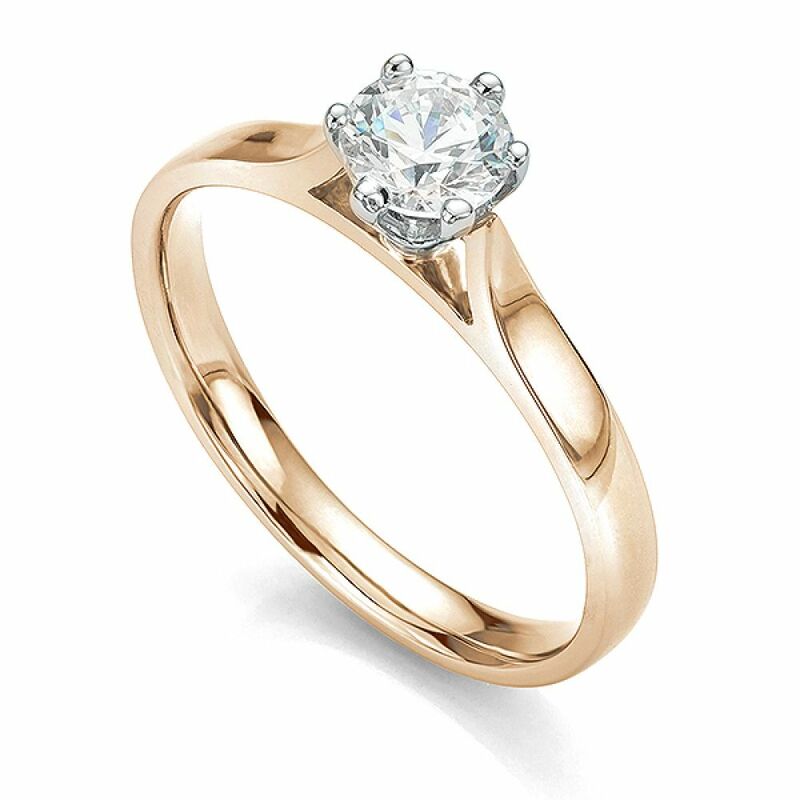 The Ballerina solitaire engagement ring makes a perfect setting for any round brilliant cut diamond. We hand select a perfectly faceted diamond, crafting this exquisite design which features a six-claw Tiffany inspired setting with the benefit of a wedding ring friendly design. 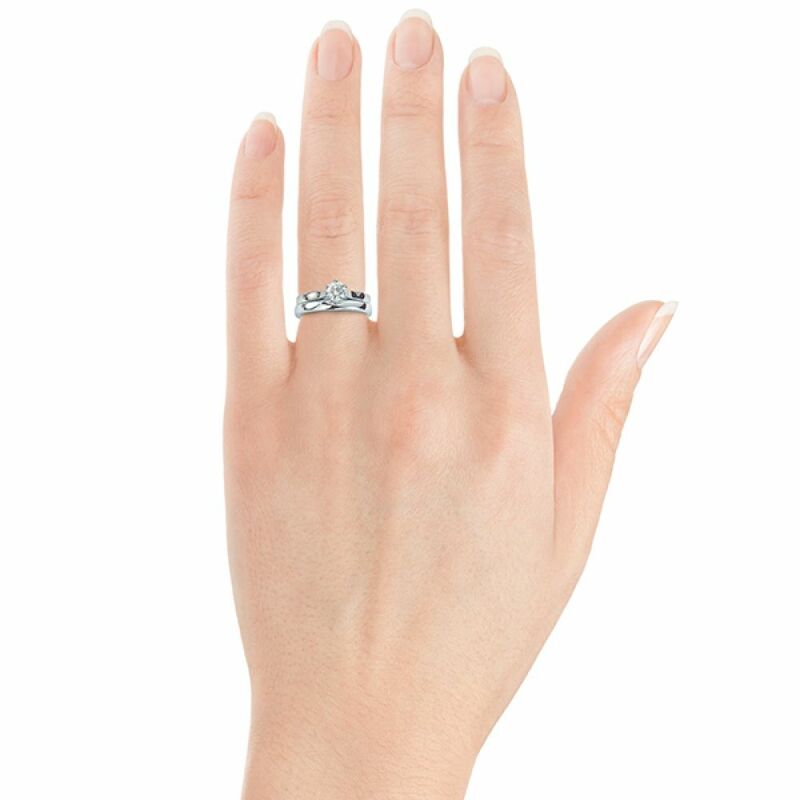 Hand image shows the matching ﻿Arreton, matching plain wedding ring﻿ in a 2.5mm width available to order separately. 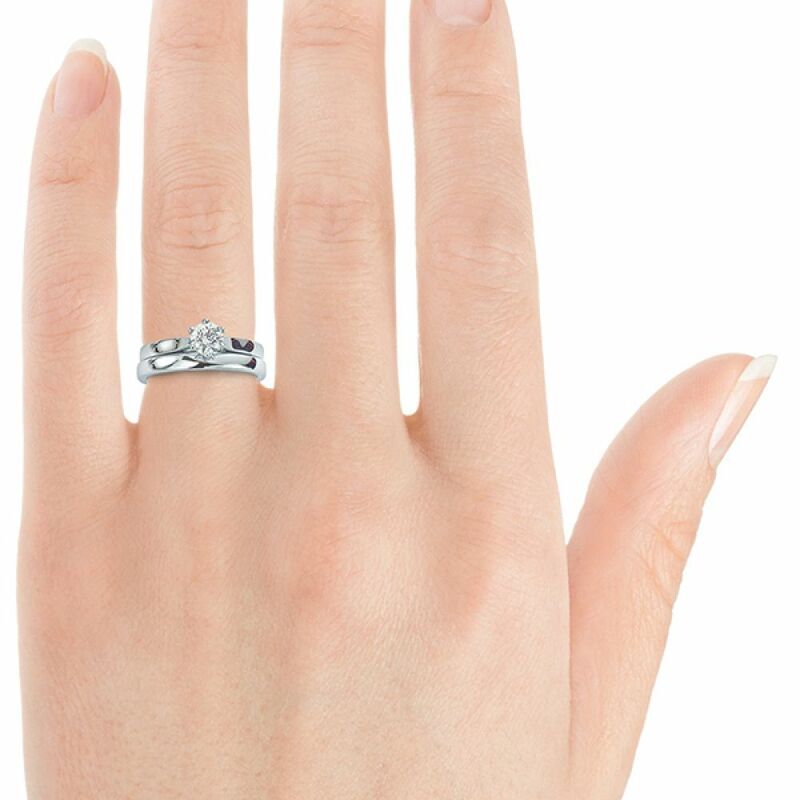 The Ballerina solitaire Engagement Ring delights with simple Tiffany inspired styling to present a single Round Brilliant cut Diamond. 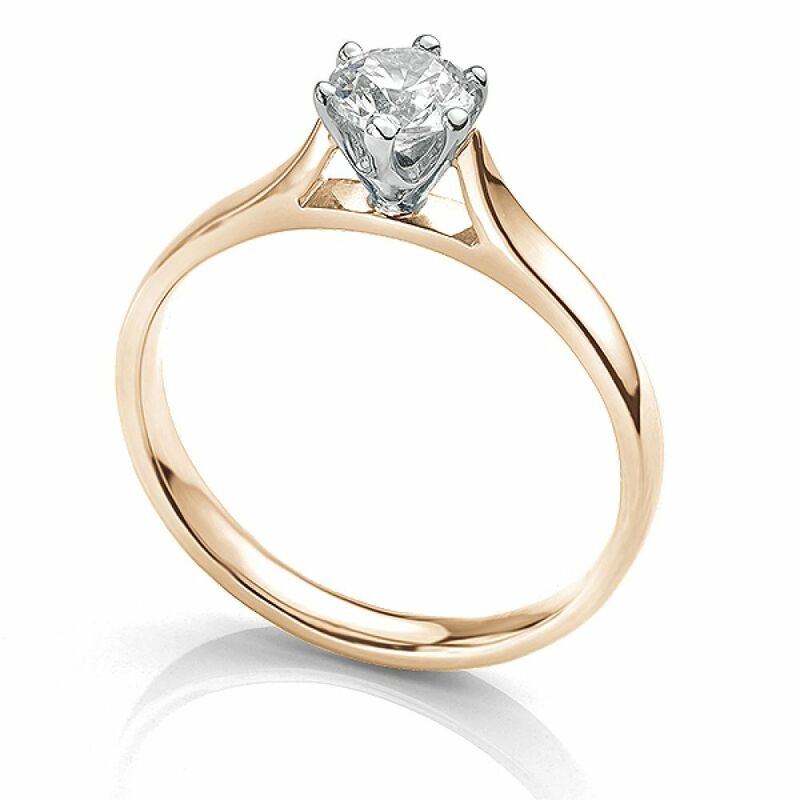 Benefitting from a wedding ring friendly setting (also known as wedfit) this exquisite design makes the perfect solitaire setting. Accommodating most Diamond sizes, we create this design in a wide choice of precious metals. Choose from 950 Platinum, 18ct Gold and ethically sourced Fairtrade Gold. We craft your perfect Engagement Ring from your personal choice of Diamond colour, clarity and carat weight. We typically provide full GIA certification with most Diamond choices, for your ultimate reassurance along with pristine packaging, 60 days no quibble returns and a lifetime warranty. We deliver to many worldwide locations and present the finished ring with a detailed insurance valuation, presented in pristine packaging with accompanying presentation and pocket box. Showing the Ballerina ring with 2.5mm wide band set with a GIA certified 0.50cts round brilliant cut diamond.